How much does it cost to join, and do I have to sign a contract? Millennium Martial Arts offers a variety of flexible membership plans designed to fit your budget, schedule, and goals. 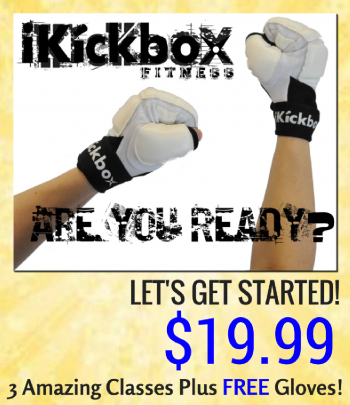 Ask about our Web Special Offer for Karate Classes. We offer unlimited attendance plans or versatile class pass programs. Depending on the class pass package you choose, classes can cost between $5-$24 per class. No contracts are required. We do not have any registration fees to enroll in the school. We do not charge belt test fees for any rank except for Black Belt and there are no Organization or Association fees. Free Uniforms are given with every Introductory program. Will Karate make my child violent? Training in the Martial Arts at any reputable dojo will not teach your child to become violent. On the contrary, traditional Martial Arts Classes such as the Karate that is taught at Millennium Martial Arts teaches peaceful resolution to stressful situations, anti-bullying techniques and other methods of diffusing confrontations before they become physical. Students are taught that the physical skills learned through their martial arts training is ONLY to be used as a last resort and ONLY in the defense of oneself or someone that needs their protection. Learn more about this here. Karate is an excellent mental and physical exercise for people of all ages. Students can simply do what they are able to do given their own physical condition and abilities. There is no pressure to go beyond what you can safely achieve. 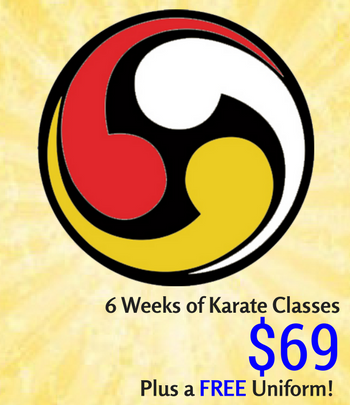 You will improve your strength, balance, flexibility, endurance, and self confidence through your participation in karate training at Millennium Martial Arts. If you can’t kick high, don’t worry…you will learn to kick low really well! To many students, sparring is an important part of their training, however it is not mandatory. Nobody will be pressured to spar if they are not comfortable with doing so. Each individual will progress at their own rate. While achieving new rank is an exciting part of martial arts training, we are not a “black belt factory” and do not promote for the sake of promoting. It depends largely on how many classes you attend, how much you practice, etc. Rarely does anyone achieve a Black Belt in less than three years. Will Karate help me and/or my child reduce stress? Martial Arts training will help you to leave the stress of the day behind you while you train. You will develop a strong mind, increased confidence, and improved physical well being that will arm you against your daily battle with stress. Does Karate really help children focus? Many articles have been written that suggest Martial Arts training is a great way of helping children focus. Additionally many of our member’s parents have been told by their school guidance counselors or other advisors that Martial Arts training could be beneficial to their children. Millennium Martial Arts is very proud of the numerous successes that we have had with children that have various levels of attention span including those diagnosed with ADD/ADHD, Autism, PDD, and other disorders such as those asociated with anxiety, visual and/or auditory processing.